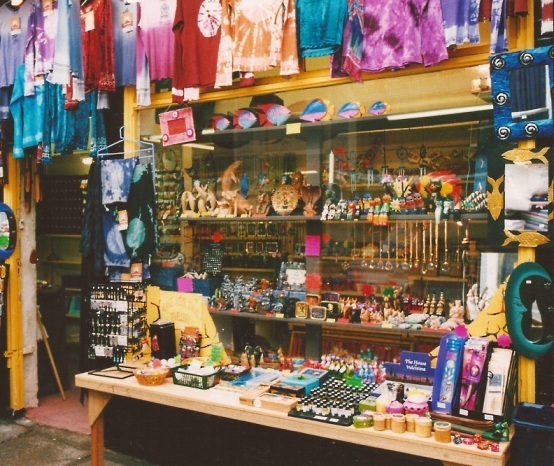 Back in 1999 I opened a small market shop in the Victorian Lanes in York Road Southend-on-Sea. 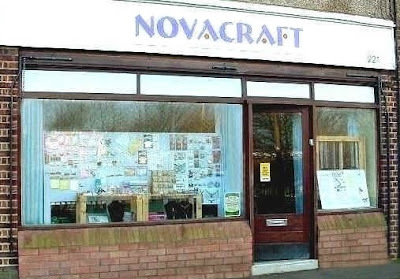 I called it Novacraft; as nova is a star that suddenly shines brightly and the shop was full of colourful shiny, bright, crafts and gifts. With the shop filling up with a variety of pretty and interesting things I started making my own jewellery to add to the stock. 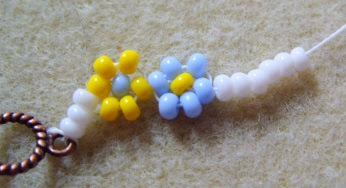 Some of the girls from the nearby college, often coming in on their lunch break, asked if I could stock beads so they could make their own jewellery too, and that's when we really began to expand. I made a small space for a couple of baskets of various beads; there was nowhere else selling beads locally at the time so the beads quickly became the most popular items in the shop, and so the beady business began. 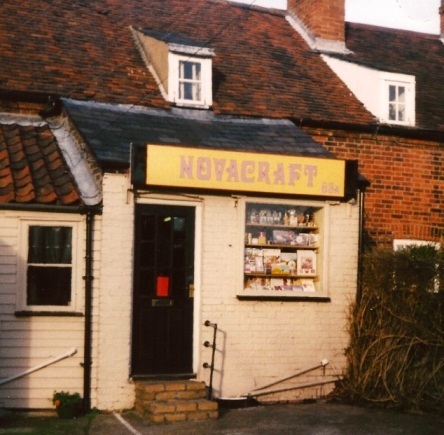 After a while I decided to give Wickford indoor market a try, it was just Monday, Friday and Saturday mornings I could fit around the family quite nicely, but I hadn't been there long when the opportunity came to have my first proper little shop which was in Rochford. Now I had other craft supplies, not just beads, but ribbons and other crafts too. We also had card making supplies from a little card making business called Rolicards that a friend of mine was running. So I kept Novacraft as name for the shop. 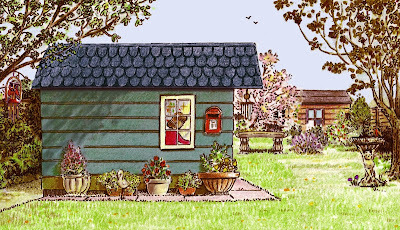 Business at the shop was going well and being one of the first online bead shops, sales at Little Beader were brisk but with four kids as well it was all becoming a bit much for me, I was exhausted so my husband Mick packed up his job in joinery to take care of the mail order and do all the boring paperwork for me. 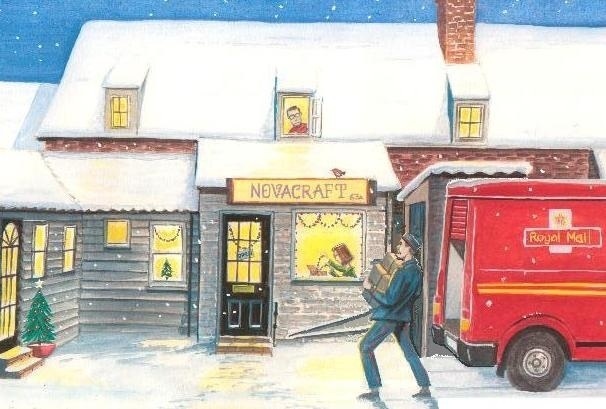 we used it as our Christmas card design. 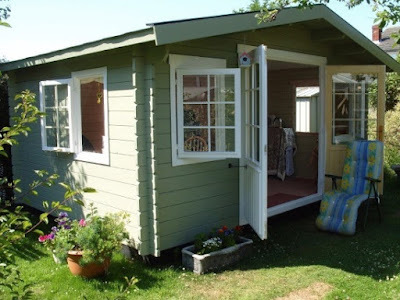 The tiny shop was soon packed with beads in every nook and cranny and then in 2006 a larger shop became vacant a short walk from our house in Rayleigh and we decided to take the risk and move into it. We did very well here to start with but by 2016 most people were doing their shopping online so sadly it was no longer a viable option to keep the shop. 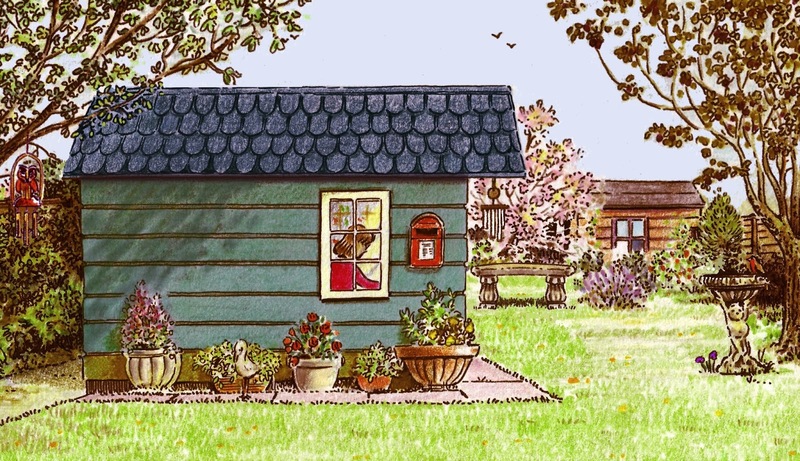 We've had a good run (19 years in total) and even though we've closed the shop I am still in beady business. Cabin in my garden, now my new beady HQ. For the next phase of my beading journey I would like to create my own range of beaded home decor.